As part of the Audi Sport Brandbook production, three films have been produced, among them “Rodeo”. Shot in Denton, Texas, it showcases cowboys and their horses during a fourday rodeo event and was designed to translate the interplay of wild force and mastery in an Audi RS model. As rodeo is considered one of the most dangerous sports in the world, the movie opted for slow-motion shots alternating with real-time shots to show the power of the animal and the will of the man to keep holding on. The concept is that horsepower cannot be illustrated more archaically than through a bucking horse and a rider. While the gate flies open and the rodeo horse shoots out into the arena – with the “shoot” marking the first of eight seconds during which a bronco does everything to throw the rider, he manages to hold on only with one hand. Short cutaways in between present the 580-hp Audi RS 5, which in the end races through a tunnel with maximum speed expressing the slogan “Wild at heart. The power of Audi Sport.” Customers could access the moving picture content through barcodes in the Audi Sport Brandbook. The idea of comparing a wild horse to a racing car, in this case an Audi, is as simple as it is powerful. 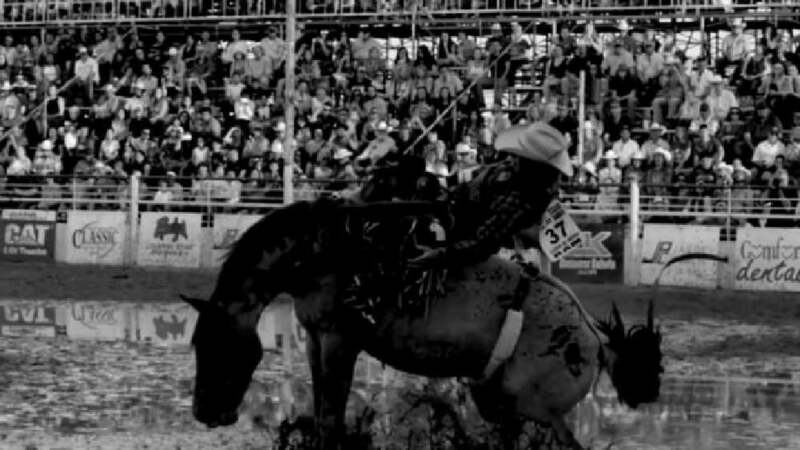 Thanks to being in black-and-white and featuring impressive slow-motion scenes, “Rodeo” has emerged as an outstanding implementation. The overly congenial sounds and excellent cuts convey the power, beauty and dynamics of the horse – in analogy to those of the sports car – to impressive effect.